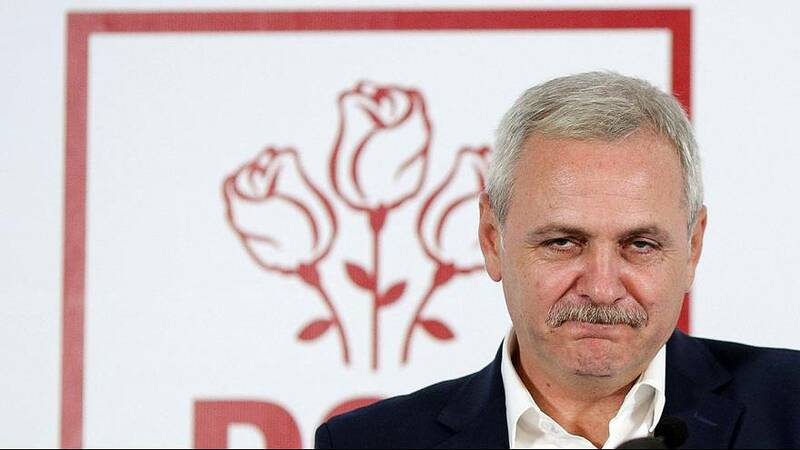 Romania’s leftist Social Democrats (PSD) have won Sunday’s parliamentary election, with over 45 percent of the vote. Promises of more money in people’s pockets paid off – reviving the fortunes of a party that was driven from office just over 12 months ago by anti-corruption protesters. Its leader Liviu Dragnea, 54, now naturally wants to be prime minister. The problem is that he was convicted of electoral fraud earlier this year and given a two-year suspended jail term. And despite Dragnea proclaiming his readiness to serve – ‘I am not playing when it comes to this vote’ he told reporters – Romanian President Klaus Iohannis, a liberal, has said he won’t accept any candidate with a criminal past. Official results on Monday showed the PSD party won more than 45 percent of the vote and its junior ally ALDE took around 6 percent, securing a combined outright majority. The PSD were forced from power in November 2015 amid public anger over a deadly fire in a nightclub that lacked emergency exits and safety permits. Protests over corruption and politicians’ failure to stamp out abuses multiplied. For the past year, the country has been run by a technocrat government of experts who have succeeded in accelerating anti-corruption reforms, drawing praise from Brussels. Retromania: will Romanians look to past for next government?